We are returning back to our usual venue at the Leytonstone Library! And to celebrate it, we're showing one of Werner Herzog's most celebrated masterpieces on November 4th, Wednesday. Don't miss it!! Based on the true story of a man who appeared in Nuremberg in 1828, hardly able to communicate and carrying a bizarre note. It was only after an attempt was made to integrate him into society that he was able to explain the terrible truth about his past. The film was nominated for the Palme d'Or at the 1975 Cannes Film Festival, winning three awards. When Kaspar Hauser (Bruno S.), a young German man, is suddenly released from an existence of inexplicable confinement, he is forced into regular society. 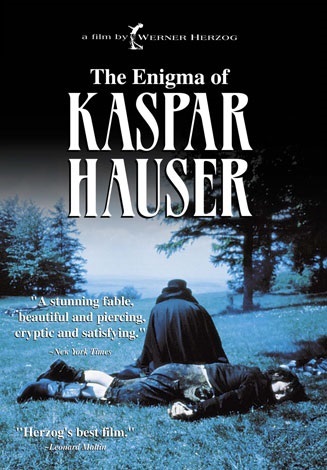 Barely capable of communicating, Hauser is exploited in a circus sideshow until he is taken under the wing of the kindhearted Professor Daumer (Walter Ladengast), who slowly helps him acclimate to conventional life, even teaching him to read and write. Despite his best efforts, however, Hauser may not be able to escape the horrors of his past. 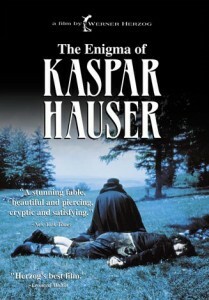 "Remarkably played by Bruno S, a former mental-hospital inmate, Herzog's Kaspar Hauser is arguably a figure to compare with, say, Greystoke or The Elephant Man: a test case for finding nobility and perfectibility in any human being, or more importantly in the human society in which he finds himself.